Pennants, Banners and Flags, Oh My! Discount applied when order is processed and will not show on your email confirmation. 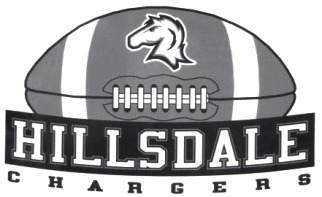 Navy blue, gray and white decal featuring football with horse head. Outside application. Fade resistant color. Adheres to any smooth surface and can be easily removed with blow dryer. Size: 3-3/4" tall x 6" long.